I like to think I know what it is to wait. The fifteen-month process for the adoption of my first son nearly broke me; thinking of him, motherless, in that little Ugandan orphanage while my own arms hung empty on the other side of the world was almost more than I could bear. I sunk into depression for a good portion of that wait, and since then, I’ve waited for other things with equal desperation. Healing for loved ones. A sense of mission for my own life. A day when I can pursue career goals rather than shelve them in favor of diapers and breastfeeding. I bet you’ve had waits of your own. We seem to always be waiting for something, don’t we? It’s hard to truly imagine the Jewish people’s thirst for a Savior when I’ve taken the gift for granted most days of my life. But every year when Advent rolls around we’re reminded anew, aren’t we? For four weeks out of the year we consider the darkness that hung thick before the Light entered the world. And what’s more, we remember our own wait for the Restoration of all things. We might not hold it before us with the same anticipation that the ancient Jews did the Messiah’s coming, but we too live in waiting. In this Advent season let us remember that what we’re really waiting on is both the birth of our Messiah on Christmas Day, and also the establishment of the Kingdom of God on Earth. 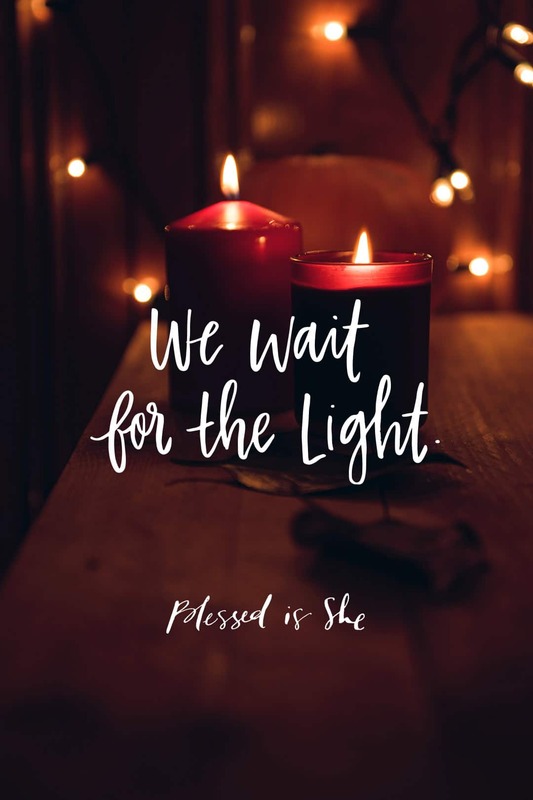 May we take the small personal waits that pain us and offer them up to the Light of the World, as a sign of trust that He is making all things new. We wait for peace and justice on Earth; we wait for His restoration. We, too, wait for the Light. We wait for peace + justice on Earth; we wait for His restoration. We, too, wait for the Light. Do you feel compelled to give back and be involved in peace-making this Advent? Pray for discernment on this nudge.